From the creators of THE FAIRY DANCERS comes a new collection of stories, perfect for fans of THE CLEO STORIES and RUBY RED SHOES. 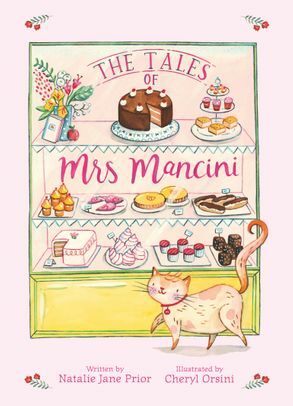 THE TALES OF MRS MANCINI tells the story of a cat who, together with her human friend, Filippina, runs a cake shop full of delectable treats. Alongside her flair for flan, Mrs Mancini also has a special ability to bring lonely children together. A collection of three fully illustrated short stories celebrating friands and friendship!